U.S. District judge Lucy Koh had to wonder if Apple's legal team wasn't on something when it came up with its impossibly long witness list. As Apple's legal team attempted to submit 75 pages worth of briefings for rebuttal witnesses Thursday in its patent suit against Samsung, the honorable U.S. District judge Lucy Koh couldn't contain her anger. "I mean come on. 75 pages! 75 pages!," she's quoted as exclaiming to Apple attorney Bill Lee in a published report. "You want me to do an order on 75 pages, (and) unless you're smoking crack, you know these witnesses aren't going to be called when you have less than four hours." Lee assured her he's not smoking crack, though with just six and a half hours of trial time left for the Cupertino company and a request to book more than 20 witnesses, Koh's concerns may not be too far fetched. Each side has 25 hours to make their case. Apple's stream of witnesses have eaten up most of their time while Samsung only has an hour and a half left. Two hours will be give to the companies for closing arguments, which Koh has said she wants to happen early next week. With its 6.5 hours, Apple planned to cross-examine Samsung's witnesses while bringing in a whole new round of testifiers for its side. 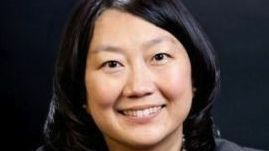 For her part, Koh made efforts to encourage the companies to settle out of court, wanting to keep hundreds of pages of court documents from bearing down on the jury and preventing potentially negative outcomes for both sides. She asked that both legal teams consider narrowing their cases against each other as well as come up with a bargain that works for everyone. With billions at stake and bad blood between them, that's a solution unlikely to happen.